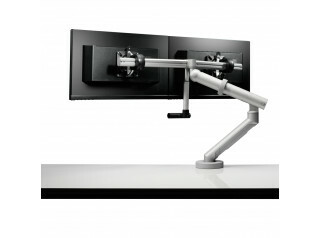 Flo Dual Monitor Arm is a market leading ergonomic desktop solution for technology challenges in the office. 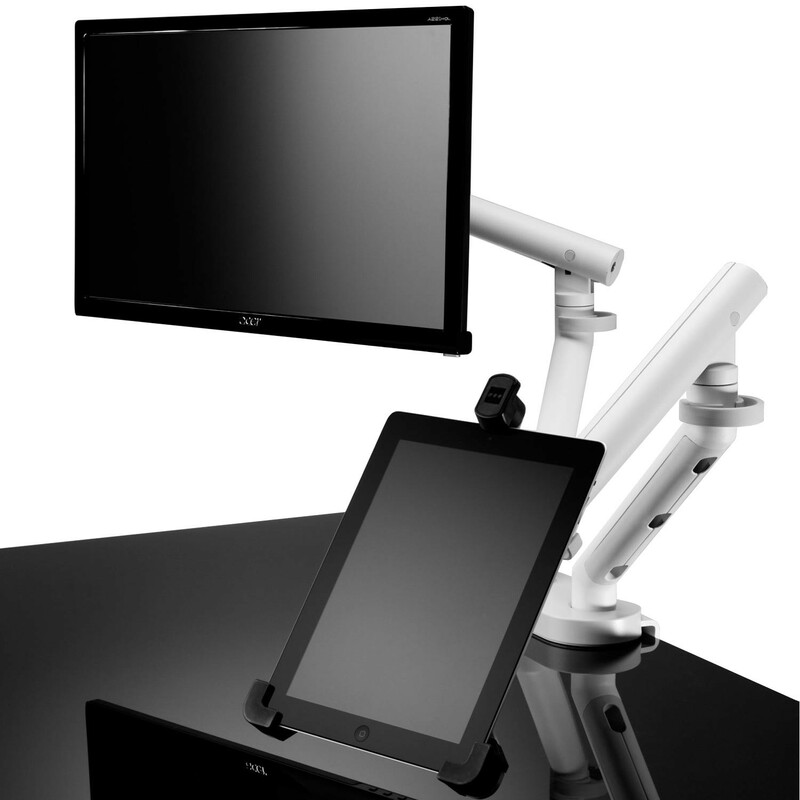 Be it single or dual screen, new technologies such as tablets, Flo Dual uses two Flo Monitor arms with a single desk clamp to support a screen alongside a tablet or laptop, or dual screens if you prefer. Flo Dual Monitor Arm's unique design offers a range and ease of movement that sets it apart from all other monitor/tablet supports. Achieved by the use of geometric Flo Spring Technology, its unique design is protected by four International patents. 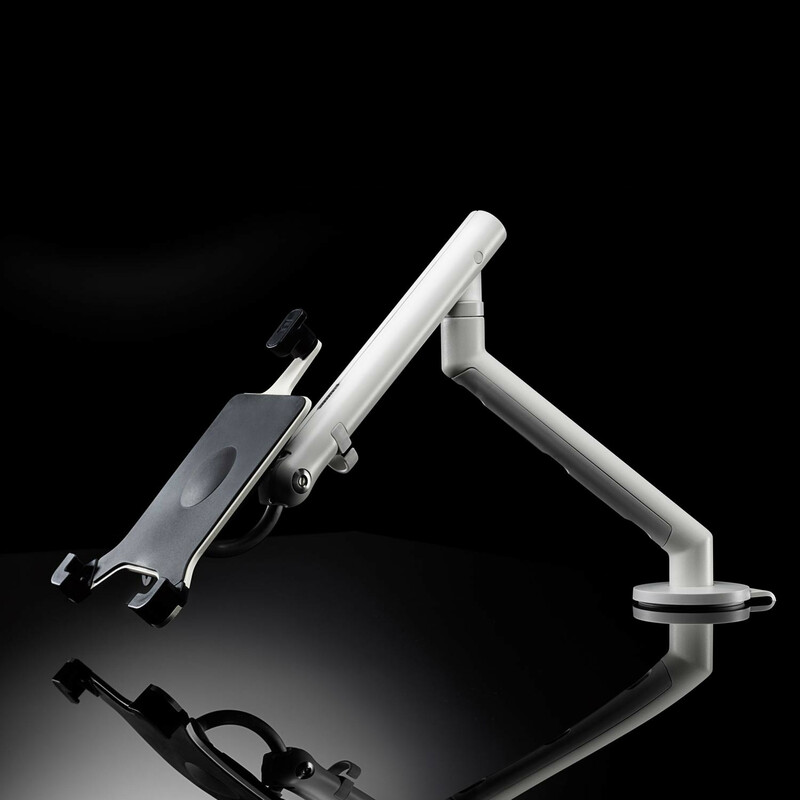 And it is this commitment to innovation that is the cornerstone of Flo’s performance: Flo Dual flat screen monitor arms offer smooth fingertip adjustability ensuring minimum effort is required by the user to position the screen. As a winner of the red dot award for product design, Flo represents an evolution in the design of monitor and tablet supports, offering a range of features and benefits that no other product currently on the market comes close to comparison. The Tablet Mount ensures that Flo is unrivalled in its ergonomic capability to be used alongside tablets such as the iPad; Blackberry or Samsung Galaxy. The range of movement provided by the Flo spring mechanism combined with 40° of vertical tilt provided by the D-ring ensures the tablet can be easily positioned as an input (touch) device as required. 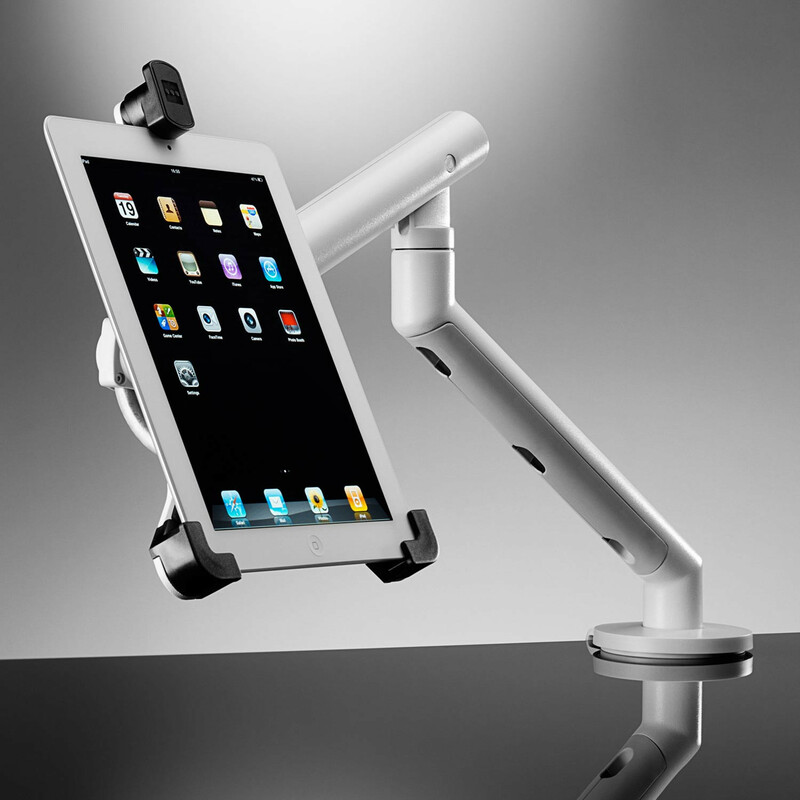 The Tablet Support attaches easily to the Flo head and features a lock to act as a theft deterrent. 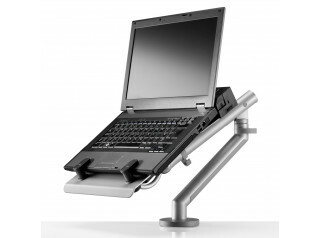 The Laptop Mount provides an improved ergonomic solution for laptop users when office based. Removing the laptop from the desk creates additional space that can be used for an external keyboard, and the dynamic movement created by Flo means the laptop screen can be easily raised to the correct height for the user. When used in conjunction with Flo Dual the laptop can easily be used in conjunction with a screen. With cloud computing and web-based data storage on the increase, many organisations are using thin and zero clients as a means of reducing costs and office space. 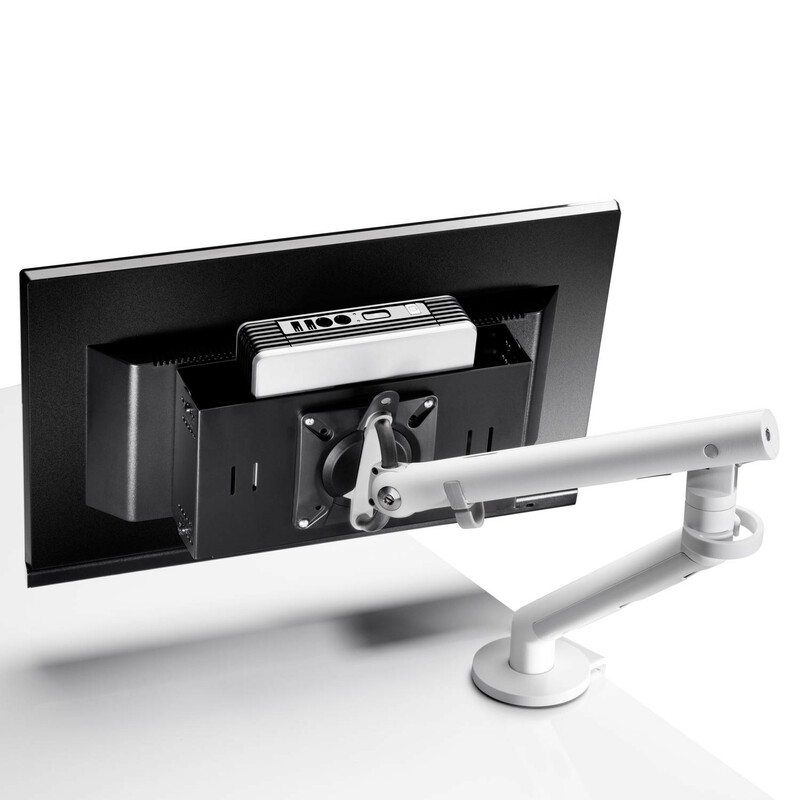 The CBS Thin Client Mount attaches securely to the Flo monitor arm and the screen to create a minimalist IT solution while still providing full ergonomic articulation. 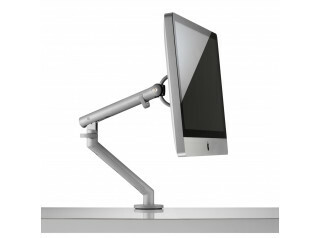 View more ergonomic solutions from CBS. 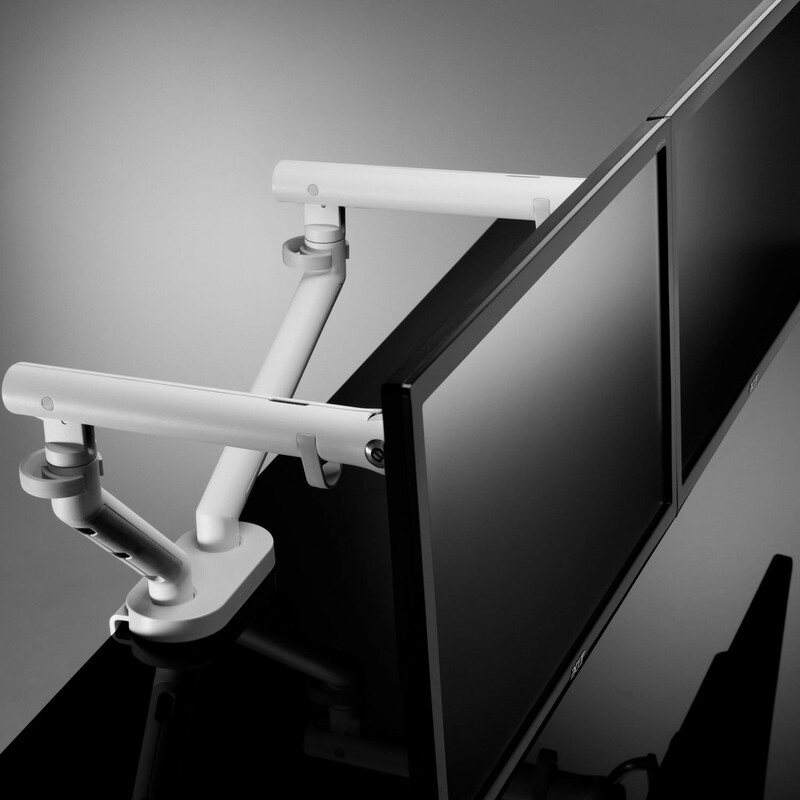 You are requesting a price for the "Flo Dual Monitor Arm"
To create a new project and add "Flo Dual Monitor Arm" to it please click the button below. 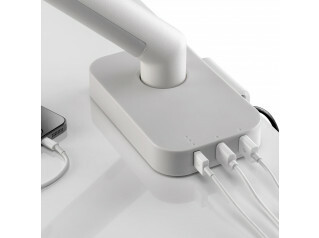 To add "Flo Dual Monitor Arm" to an existing project please select below.